It looks like the first country to have a full regulatory framework in place is Thailand. The legislation is in place since May 14th and as you will see in the following sentences, some of the measures had been rumored to be applied in the past. We’ve written another article in March where we’ve talked about crypto regulation in Thailand and since yesterday, the government now applies it for cryptocurrencies and Initial Coin Offerings. Let’s discuss the actual measures, so you can have a picture of how a government can efficiently regulate digital assets in order to not harm the industry. The whole process started in March, when the Thai government had approved the decree called the Digital Management Act BE 2561, but due to amendments that have occurred since then, it went into effect since yesterday, May 14th 2018. The document has a series of interesting measures, some of them widely anticipated by us in other articles related to cryptocurrency regulation. First, for the people investing in cryptocurrencies and other digital assets, there will be a 15% tax on profits. The Revenue Code had also been modified in order to include this measure. Also, the finance minister Apisak Tantivorawong said that the legislation was implemented “to protect investors, and not to prohibit cryptocurrencies, ICOs, and other transactions with digital assets”, as Bangkok Post had reported. For the companies involved in the industry, the Thai Securities and Exchange Commission will play an important role. All sellers will be required to register with the SEC in maximum 90 days since the lay is applying, or they will face penalties more than twice the value of all transactions done, but not less than 15,700 US dollars. Other areas related to cryptocurrencies, ICO, and digital assets. As it had also been stated by news.bitcoin.com, the Thai Sec will play a major key in the process of regulation, but also it will work with the Ministry of Finance in order to implement other organic laws that might be necessary in the future. 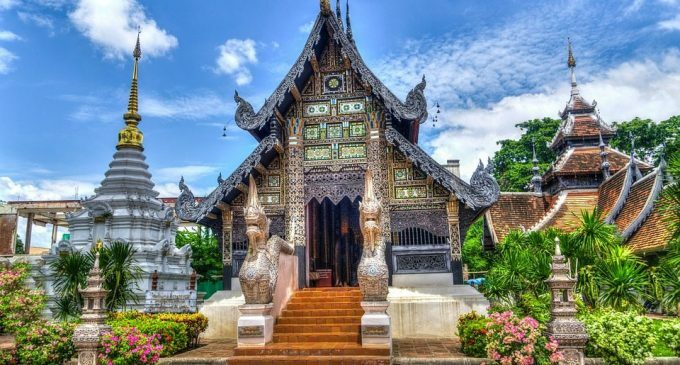 Thus far, the legislation looks friendly and there is no sign that the Thai government has a negative approach to the industry of digital assets.